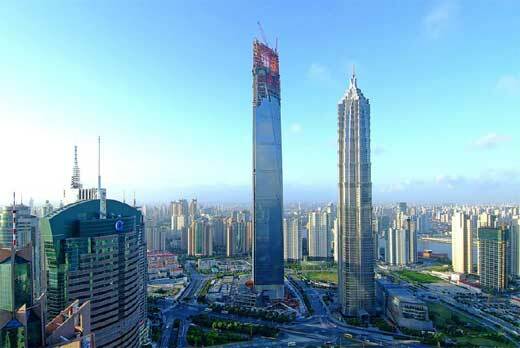 Expected to be completed in spring of 2008, the construction of Shanghai World Financial Center (SWFC) was reported on schedule. Named as the next tallest building in China, the SWFC has 102-storey with 492m-tall total, 300 rooms, and 377300 meter square of floor area. the SWFC is located at Lujiazui Financial and Trading Area in Pudong New District, Shanghai and will be used as office, hotel, museum, observation, and retail. The architect, KPF Associates employing glass extensively to this new highrise building. As mentioned by weblog.housing.com, the picture above was called as _gin and tonic bus stop_ that made by Lee Brackett, a designer based in Nevada City. He has 5 years experiences of working with a Kyoto temple carpenter. 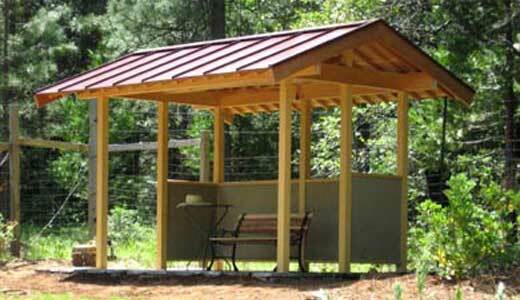 From the product page, it is called as Summer House with area of 6 x 10 feet and costs $19,000. The basic structure is a timber frame and uniquely using traditional Japanese joinery (mortise and tenon, etc) to assemble it. Are you a follower of the aphorisms _Less is more_ and _God is in the details_ ? and then you must be the fans of Mies van der Rohe. As one of the most influential modern architects, Mies has created an influential 20th Century architectural style which mosts of his designs stick with clarity and simplicity. 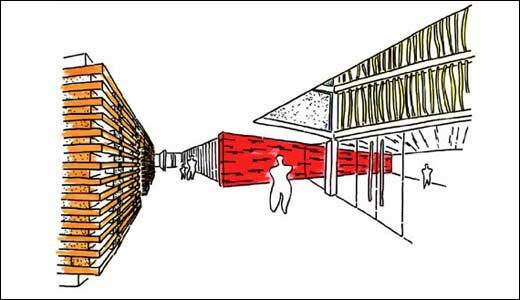 Adopting modern materials such as steel and glass, he called his building as _skin and bones_ architecture. And how about the song? just play and enjoy it, it could be inspiring even you do not like rock-punk. The Concept Ghana, a development group based in Ghana, has a project to design the Augustino Neto Condominiums. The site located in Acra with the area of 1,500-square-foot-units (25 units total) and the 3/4-acre site is on the airport road which has noise problem. This problem solved by using special material called PozzoGhana to reduce the jet-engine noise. The Concept Ghana adopts green building products and sustainable material such as bamboo, adobe plaster, recycled oil drums, and the combination of local sedimentous soils, waste palm kernels, and Portland cement. “The building’s frame is our concrete product, then we mixed in ancient local building materials in a modern way.” said Kanner from the group. The Condo expected to finish in 2008 and will sell for $300,000 each unit. 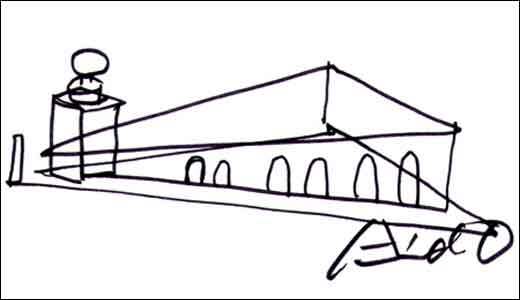 Tado Aando, a famous Japanese architect, unveiled his design of contemporary arts centre in the Punta della Dogana building in Venice for luxury goods tycoon François Pinault. The art center is planned to open for the first time in 2009 for Visual Arts Biennale events and will be a great alternative exhibition space for contemporary arts from the François Pinault. In this era, there are so many jobs that require frequency moving, and this condition challenging architects and designers to design a comfortable mobile housing or motor home. Other condition such as the high land prices also make the mobile housing is a great solution in certain area such as Southern California. And interestingly GMC submitted the GMC PAD design concept to the California Design Challenge back in January 2005 (i do not know whether the concept is already become a reality now). 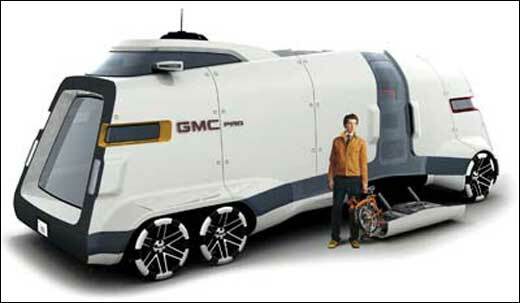 The GMC PAD is described as a mobile urban loft aimed to ease the difficulties of living in Southern California. And interestingly, the PAD coming with sustainable approach to reduce the cost of gas. 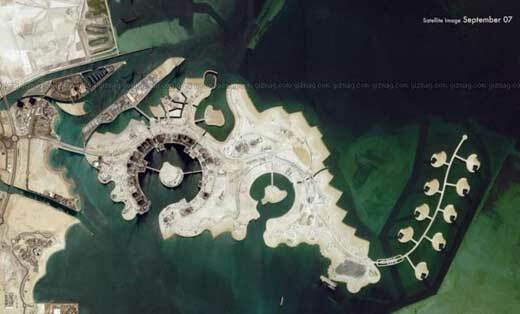 As a man-made island, the Pearl-Qatar covering 400 hectares and consists of luxury apartments and town homes (for 40,000 permanent residents), penthouse and villas, 5 star hotels, international retails, restaurants, and entertainments spaces, and an international yachting hub with three marinas (for 800 tourists). The Pearl-Qatar is currently under construction and being developed by United Development Company. The Pearl-Qatar expected to finish in 2009 and will be a destination in its own right. Designed by Dorsky Hodgson Parrish Yue Architects (DHPYA), the Wentworth House is the first building at North Bethesda Center, a 32-acre of $900 million mixed-use development located in the Washington, DC area. The Wentworth House itself is a $70 million, 18-story, 312-unit luxury apartment building with a Harris Teeter Grocery Store at its base. As mentioned in the press release, the Wentworth was designed with sense of community. 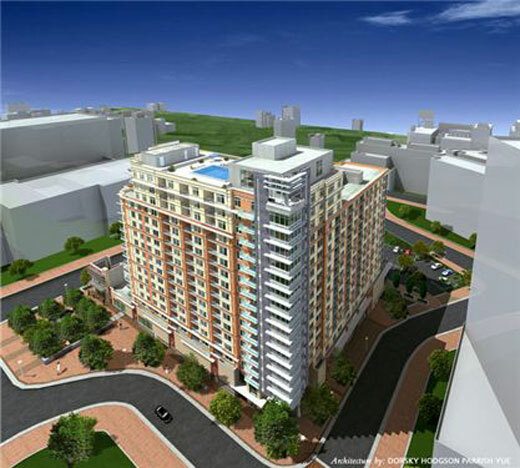 “North Bethesda Center will be a self sufficient community in the midst of a highly developed suburban corridor. The Wentworth exemplifies the level of quality and creativity that must be in place to successfully launch this type of large-scale, transit-oriented urban development model,” says Sandy Silverman, Partner, DHPY.